In the United States and throughout much of the world, automobiles are a way of life – and car accidents are an inevitability. With more than 143 million Americans commuting daily, there’s no doubt that car accidents are bound to happen – and there seems to be no end in sight. As car accident and motor vehicle collision lawyers, we know car accidents. 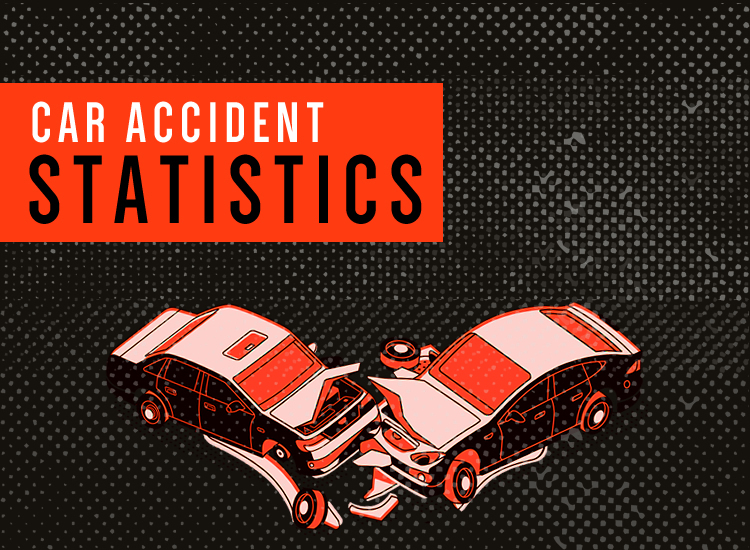 For convenience, we poured through data from organizations such as the National Highway Traffic Safety Administration (NHTSA), the Centers for Disease Control and Prevention (CDC), and the Federal Motor Carrier Safety Administration (FMCSA) to form a comprehensive guide to statistics, facts, and other figures regarding car accidents across the United States. Here is everything you need to about car accidents, in the United States and Globally, for 2018, 2019 and beyond. Use these links to to jump to that section of the page. 1 Every year, roughly 1.3 million people die in car accidents worldwide – an average of 3,287 deaths per day. 2 Young adults aged 15-44 account for more than half of all road traffic deaths. 3 Globally, car accidents are the leading cause of death among young adults ages 15-29 – and the 9th leading cause of death for all people. 4 In 2016, there were 34,439 police-reported fatal car accidents – a 5.8 percent increase from 2015. 5 These fatal crashes led to 37,461 total fatalities, including 25,096 vehicle occupants, 5,286 motorcyclists, and 7,079 nonoccupants. 6 58 percent of police-reported fatal car accidents involved only one vehicle. 7 In 2016, the deadliest 3-hour period was midnight to 3am on Saturdays, with 1,015 fatal crashes – closely followed by 6pm to 9pm on the same day with 1,001 crashes. 8 38 percent of all fatal car accidents began from a collision with another motor vehicle. The most common collision occurred at an angle. 9 40 percent of all fatal car accidents started by a collision with a fixed object (such as trees or street signs) or a noncollision (such as rollovers). 10 In 2016, the most fatal car accidents happened in the summer months of June through September, peaking in the month of October with 3,249 fatal crashes. 11 The most fatal car accidents occurred on Saturday, with 6,104 accidents. 12 48 percent of all fatal accidents took place during nighttime conditions. Of these accidents, 41 percent occurred in dark, but lighted conditions. 13 In 2016, 95 percent of all vehicles involved in fatal car accidents were passenger cars or light trucks (vans, SUVs, or pickup trucks). 14 Large trucks accounted for 8 percent of vehicles in fatal accidents. Of these, 71 percent were semi-trucks – also known as combination trucks. 15 Light trucks and trucks experienced the highest rollover rate in fatal car accidents, at 25.6 percent. 16 Rollovers accounted for 17.9 percent of all fatal car accidents in 2016. 17 50 percent of fatalities in car accidents were drivers. 17 percent were passengers, 16 percent were pedestrians, and 14 percent were motorcyclists. 18 People aged 21 to 24 had the highest fatality rate per 100,000 population. 19 The fatality rate per 100,000 population was lower for female than for males in nearly every age group except children younger than 5 years old. 20 What age group has the highest rate of car accidents? The risk of motor vehicle crashes is higher among 16-19-year-olds than among any other age group In 2015, teens ages 16-19 in the United States accounted for 2,333 fatalities and 233,845 injuries due to car accidents. 21 In 2013, teens 15-19 accounted for 11 percent of total car accident costs, despite representing only 7 percent of the US population. 22 In 2016, the car accident fatality rate for male occupants aged 16-19 was twice the rate of their female counterparts. 23 The risk of a fatal car accident is significantly higher in newer teen drivers: the fatal crash rate per mile driven is almost twice as high for 16-27 year olds than for 18-29 year olds. 24 In 2015, 61 percent of high school students reported wearing seat belts as a passenger in another vehicle. 25 In 2016, 15 percent of drivers ages 15-20 who were involved in fatal crashes had a blood alcohol concentration of 0.08 or higher. 26 20 percent of high school students reported that they had ridden with a driver within the previous month who had been drinking alcohol. 27 In 2015, 60 percent of drivers ages 15-20 killed in an accident after driving under the influence were not wearing a seatbelt at the time. 28 In 2016, 48 percent of occupant fatalities in teens 16-19 were not wearing a seatbelt at the time of the accident. 29 In 2015, people 65 years and older accounted for 6,165 fatalities and approximately 240,000 injuries due to a motor vehicle collision – making up 18 percent of all traffic fatalities and 10 percent of all people injured in that year. 30 Between 2006-2015, motorcyclist fatalities among older drivers increased by 142 percent – a 144 percent increase in males and a 100 percent increase in females. 31 Between 2006-2015, bicycle fatalities among older people increased by 10 percent overall – an 8 percent increase for males and a significant 38 percent increase for females. 32 Only 8 percent of older drivers involved in fatal car accidents had blood alcohol concentrations of 0.08 or higher – the lowest percentage of all age groups. 33 74 percent of fatalities in crashes involving older people occurred during the daytime. 70 percent occurred on weekdays, and 67 percent involved other vehicles. 34 In 2015, Florida had the highest number of fatalities of people 65 and older, while the District of Columbia had the fewest. Wisconsin had the highest percentage of fatalities of older people, while Wyoming had the lowest percentage. 35 In 2016, 3,450 people were killed due to distracted driving. 36 Approximately 481,000 drivers are using their phones while driving daily. 37 Every day, about 9 people are killed and more than 1,000 injured in crashes involving a distracted driver. 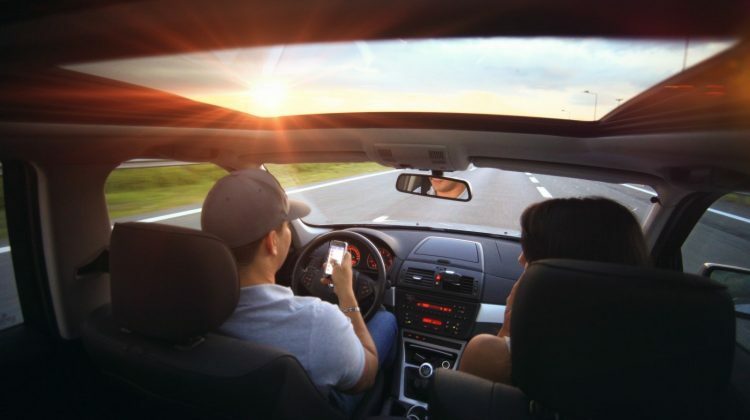 38 In 2015, 391,000 people were injured due to distracted driving. 39 Drivers under 20 years old have the highest proportion of fatal accidents related to distracted driving. 40 As of June 2017, handheld phone use is banned for drivers in 14 states and the District of Columbia, while texting while driving is banned in 46 states and the District of Columbia. 41 Phone use is a major distraction from driving. On average, it takes most people 5 seconds to take their eyes off the road to read or send a text. At 55 mph, that equates to driving the full length of a football field with your eyes closed. 42 Handheld phone use among drivers decreased from 3.8 percent in 2015 to 3.3 percent in 2016. 43 It takes only 3 seconds after a driver has been distracted for a crash to occur. 44 A teen’s risk of fatal crash doubles if they have one passenger. If two or more are present, their risk increases to five times. 45 One percent of distracted driving accidents are due to lighting or putting out a cigarette while driving. 46 62 percent of distracted driving collisions are caused by drivers letting their mind wander off the road. 47 When a driver listens to conversation or music, the focus dedicated to driving decreases by 40 percent. 48 20 percent of drivers report grooming or otherwise styling their hair while driving. 49 During a 16-minute car ride, driving with children in the car can cause parents to take their eyes off the road for an average of 3 and a half minutes. 50 65 percent of dog owners report that they’ve been distracted while having their pet as a passenger. 51 One of every four car accidents in the United States are caused by phone usage behind the wheel. 52 Although 94 percent of teen drivers acknowledge that texting and driving is dangerous, 35 percent of those polled admit still doing it. 53 20 percent of teens and 10 percent of parents report that they have full, multi-message text conversations on their phone while driving. 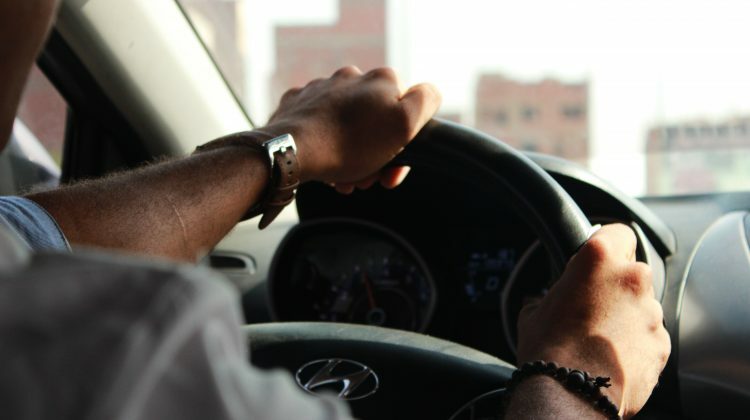 54 Texting while driving increases the chances of a car accident by 23 times. 55 77 percent of adults and 55 percent of teens believe that they have the skills to manage texting while driving. 56 Drivers talking on the phone are 2.2 times more likely to be involved in an accident. 57 In 2015, 824 people died from car accidents associated with drowsy driving. 58 Between 2005 and 2009, there were approximately 83,000 crashes due to drowsy driving. 59 48 percent of drowsy drivers are most affected between 9pm and 6am. 60 The 2009 Massachusetts Special Commission on Drowsy Driving reported that there could be as many as 1.2 million crashes, 8,000 fatalities, and 500,000 injuries due to drowsy driving every year. 61 Drowsy driving crashes occur most frequently in the late afternoon, or between midnight and 6am. 62 About 1 in 25 drivers 18 years or older report falling asleep behind the wheel in the past 30 days. 63 Individuals who snore or sleep 6 or fewer hours per day are more likely to report falling asleep while driving. 64 In 2016, speeding accounted for 10,111 fatalities – more than 27 percent of all traffic deaths that year. 65 50 percent of speeding drivers in fatal crashes were not wearing a seat belt at the time of the car accident. 66 37 percent of all speeding drivers in fatal car accidents were alcohol-impaired. 67 In 2016, there were 10,497 fatalities from crashes involving alcohol-impaired- or drunk-driving. 68 In 2016, 1,233 kids 14 and under were killed in drunk driving crashes. 69 In every state, it is illegal to drive with a blood alcohol concentration (BAC) of .08 or higher. 70 From 2007 to 2014, there was a 48 percent increase in weekend nighttime drivers testing positive for THC, the psychoactive ingredient found in marijuana. 71 In a survey held in 2013-2014, nearly one in four drivers tested positive for at least one drug that could affect safe driving and judgment. 72 In 2016, 30 percent of all drivers involved in fatal accidents at night were drunk. By comparison, this number is 9 percent for the daytime. 73 More than a third of teens believe they have better driving capabilities under the influence of marijuana. 74 Repeat offenders account for about one-third of all drivers arrested or convicted of driving under the influence of alcohol. 75 Children who start drinking early are seven times more likely to be involved in an alcohol-related crash. 76 Nearly 7 percent of drivers involved in fatal car accidents tested positive for THC. 77 Every two minutes, a person is injured in an alcohol-impaired driving car accident. Every 50 minutes, a person dies in an alcohol-impaired collision. 78 On average, about two in three people will be involved in a drunk driving crash in their lifetime. 79 Men are more likely than women to be driving drunk in fatal crashes. In 2016, 21 percent of males are alcohol-impaired, compared to 14 percent for females. 80 A first-time offense of driving under the influence of alcohol can cost the driver as much as $10,00 in fines and legal fees. 81 In 2016, more than 1 million drivers were pulled over and arrested for driving under the influence of drugs or alcohol. 82 Marijuana users are roughly 25 percent more likely to be involved in a car accident than drivers with no evidence of drug use. 83 An estimated 22 percent of crashes are due to inclement weather. 84 Weather-related car accidents account for nearly 6,000 fatalities and 445,000 injuries. 85 Wet weather is generally the leading cause of all weather-related crashes– 73 percent on wet pavement and 46 percent while raining. 86 Over 200,000 crashes are due to sleet and snow, while icy pavement accounts for 150,000 accidents. 87 28 percent of fatalities in 2016 were due to accidents involving driving under the influence or drunk driving. 88 Roughly 29 percent of pedestrians killed in car accidents in 2016 were due to a failure to yield right of way. 89 Although traffic fatalities increased across the United States in 2016, twelve states and Puerto Rico showed decreases in fatalities. 90 In 2016, Texas reported the highest amount of fatalities with 3,776, followed by California with 3,623 and Florida with 3,174. 91 New Mexico had the highest pedestrian fatality rate per 100,000 population, and Nebraska had the lowest rate. 92 In 2016, only two states reported no pedalcyclist fatalities due to a car accident: Hawaii and South Dakota. 93 In 2017, seat belt use nationwide was 89.7 percent – a 0.4 percent decrease from 2016. 94 Seat belt use for occupants is higher in the West than in other regions such as the Northeast, Midwest, and South. 95 From 2016 to 2017, seat belt use in the Midwest increased significantly – from 85.5 percent to 88.6 percent. 96 The use of lap/shoulder seat belts reduces the risk of serious injury to front-seat passenger vehicle occupants by 50 percent and fatal injury by 45 percent. 97 In 2017, the use of DOT-compliant motorcycle helmets was 65.2 percent – a 0.1 percent decrease from 2016. 98 Helmet use on freeways and highways increased to 88.9 percent – a significant increase from 69.8 percent in 2016. 99 Helmet use among motorcyclists in fast traffic increased to 80.1 percent (up from 66.7 percent), while use in heavy traffic increased to 78.5 percent (up from 64 percent). 100 DOT-compliant helmets saved the lives of an estimated 1,859 motorcyclists in 2016. 101 The annual economic cost of car accidents in the United States is an estimated $242 billion. 102 From 2007 to 2012, the average claimed economic losses (such as medical expenses and lost wages) increased by 8 percent among personal injury claimants and by 4 percent among bodily injury claimants. 103 In 2013, the average automobile liability claim for property damage was $3,231. The average liability claim for bodily injury was $15,443. 104 In 2013, the average collision claim was $3,144. The average comprehensive claim was $1,621. 105 Private insurers pay about half of all car accident costs, while individual crash victims pay 26 percent, and third parties pay 14 percent. 106 In 2010, the cost of medical care and productivity losses due to injuries from car accidents was more than $99 billion – nearly $500 for each licensed US driver. Previous post Electric Scooters - How safe are they?